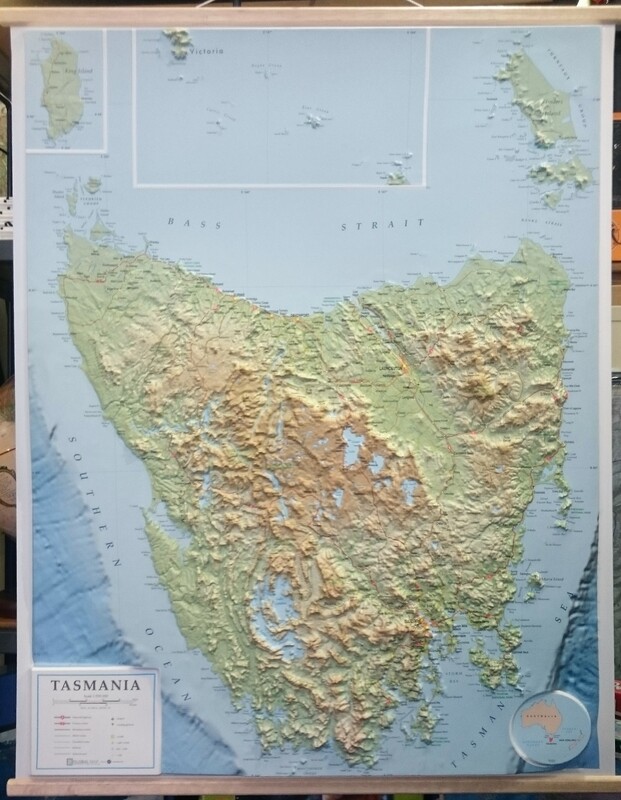 For this map framed, please email for a shipping quote that includes the shipping address and we will get back to you promptly. 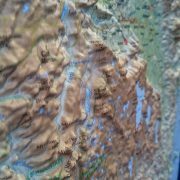 Extra shipping may be required for some remote areas – you will be notified after purchase if this is the case! 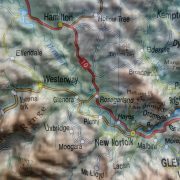 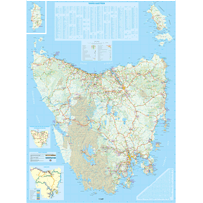 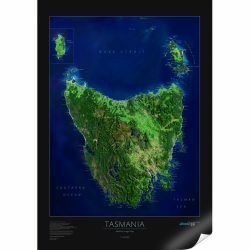 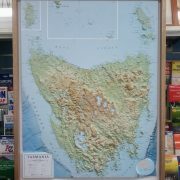 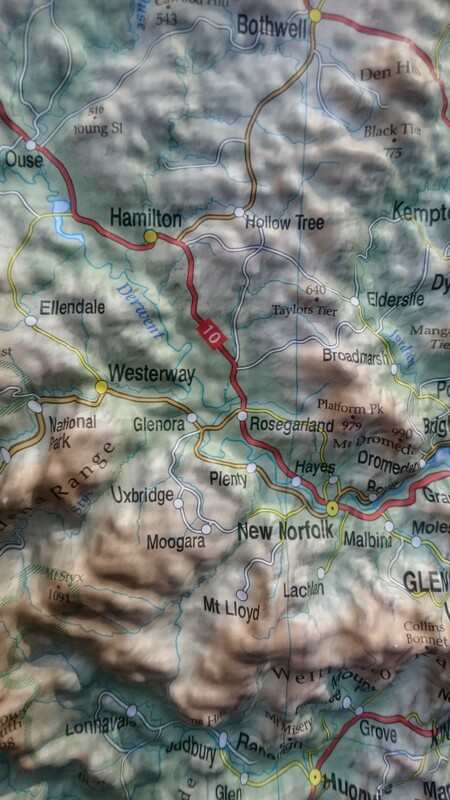 The famous Tasmania 3D Relief Map gives an excellent 3D representation of Tasmania, highlighting the many physical features in a very attractive finish. 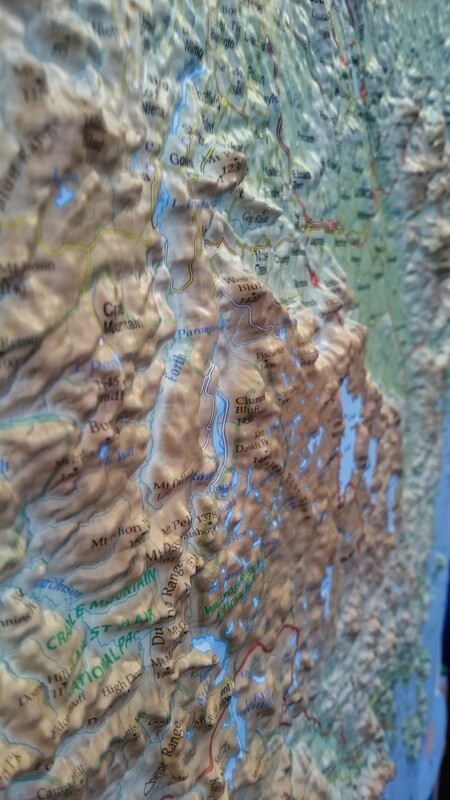 This topographic map is moulded in tough plastic and makes for a great conversation piece. 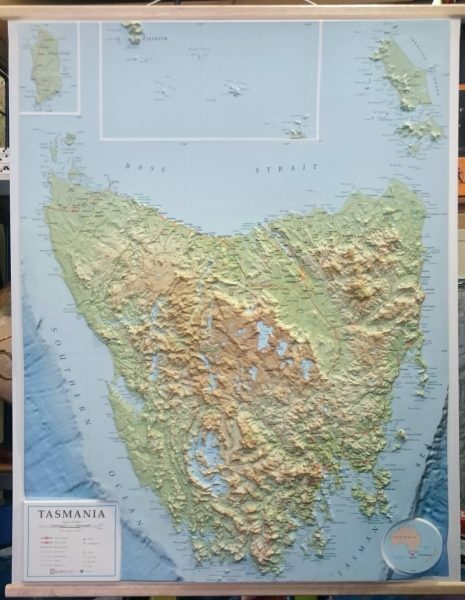 This map has the option of having Tasmanian Oak attached top and bottom, making an affordable and attractive way to hang straight on your wall. 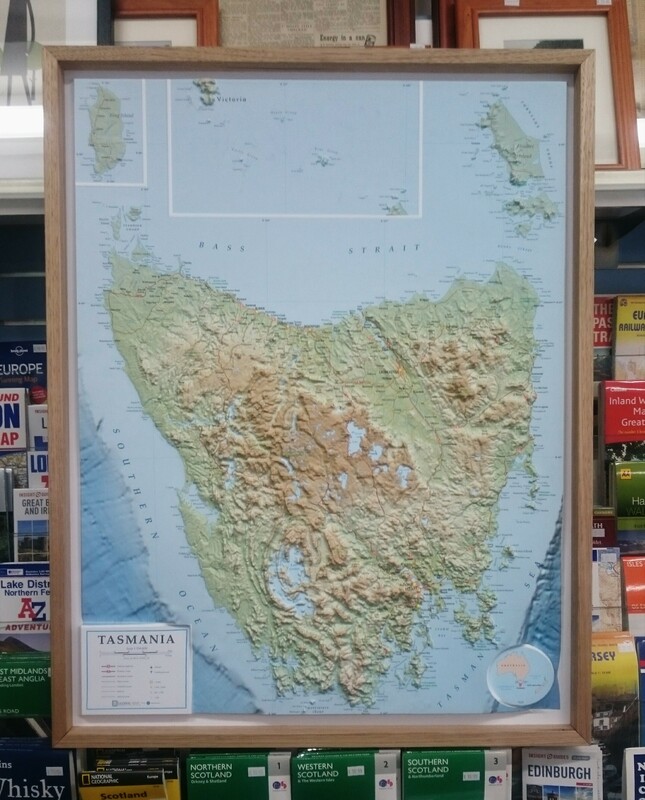 This map can also be framed, please see us in store for different options.